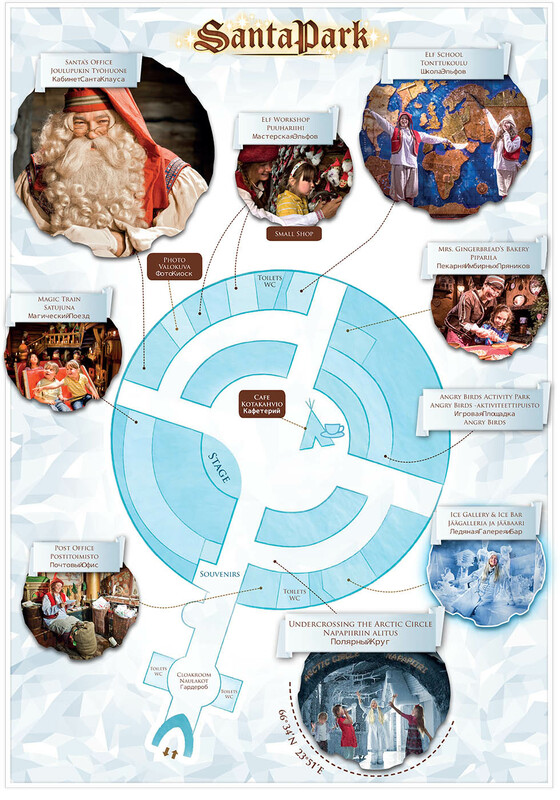 Underneath the Arctic Circle, deep beneath the ground, lies Santa's secret cavern where it's Christmas all year round! 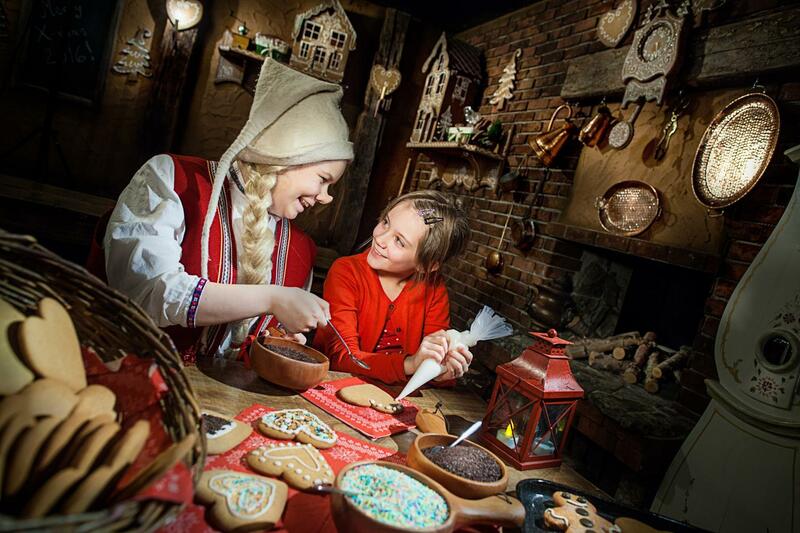 We warmly welcome you to join our merry Elves on an unforgettable journey to the heart of Christmas at SantaPark, an indoor Christmas theme park voted the top Christmas destination in the world. 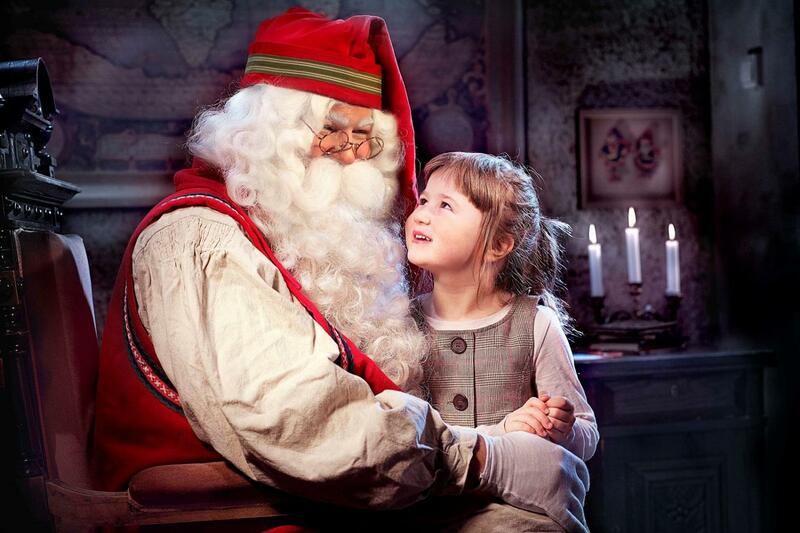 And whisper your dearest wishes to Santa Claus himself! Thank you for the winter season 2018-19! SantaPark will be open once again in June 2019. 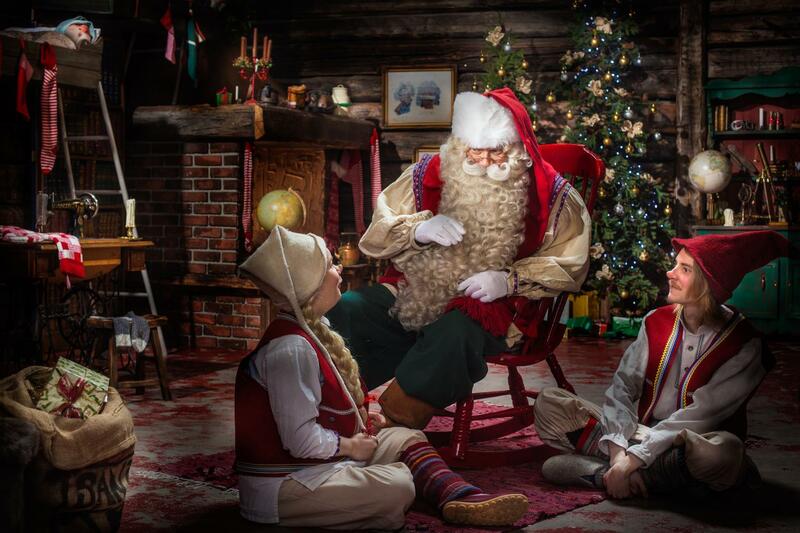 SantaPark is located right on the Arctic Circle in Rovaniemi, Finland. SantaPark ↔ Rovaniemi city center: 8 km, approx. 15 minutes by Santa's Express bus. We offer free parking for all guests. Rovaniemi is located 800 km north of Helsinki, the capital of Finland. There are excellent road, rail and air connections between the cities. By air: Daily direct flights to and from Helsinki, operated by Finnair and Norwegian. In winter there are also direct flights to and from London-Gatwich, Zürich and Berlin-Schönefel + various Charter destinations. By car: 10-hour ride; the road E75 is in great condition all year round. By train: The Finnish railway company VR operates several trains from Rovaniemi to Helsinki and other major cities in Finland. There are also night trains where you can sleep in a compartment. The train ride takes 8-12 hours. For media enquiries, please contact media@santapark.com.